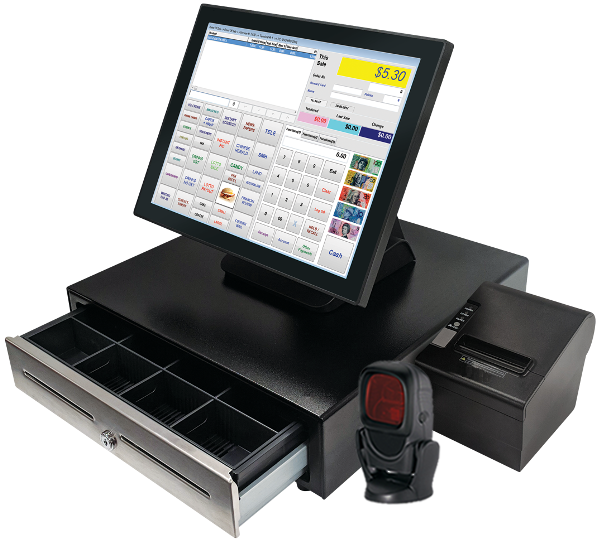 The Retail POS System - "Package D" offers maximum capacity and flexibility. 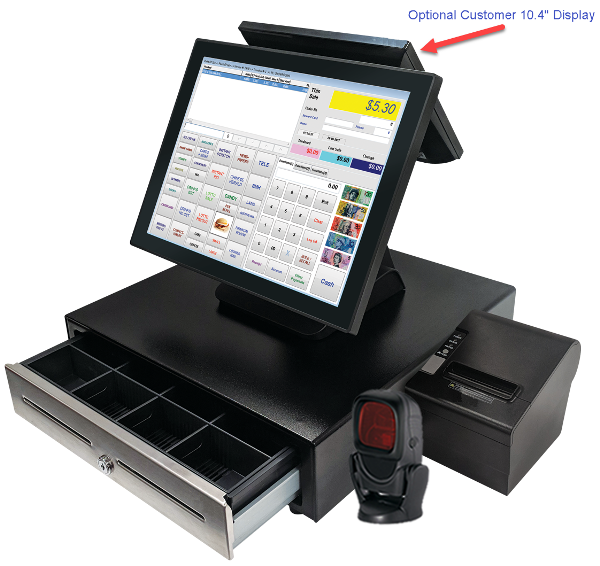 The user friendly POS touch screen can have an almost unlimited number of items preset for 'one touch registration'. A physical keyboard is not required as any manually entered prices or product searches can be done via the on-screen keyboard. 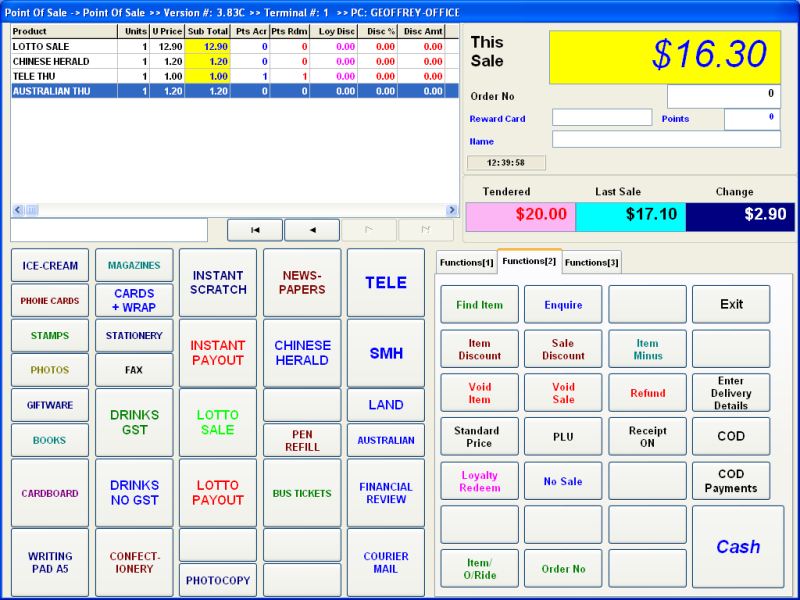 Over and above a standard Cash Register, the POS Cash Register offers full stock control, customer accounts with monthly statements, supplier invoice entry, Customer Loyalty, Lay-By, sales reporting over any given date range, an optional full 'Customer Screen Display' for detailing a customer's purchase along with visual in-store promotional advertisements and more. 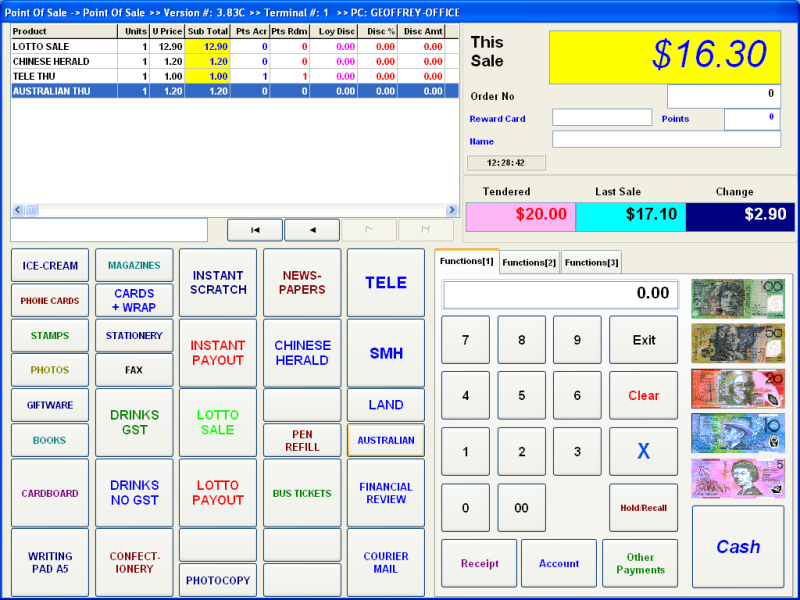 Optional POS hardware such as EFTPOS, Scales, Scanners, Other POS Cash Registers and Computers, Customer Pole or Screen Displays, order printers and more can be added. 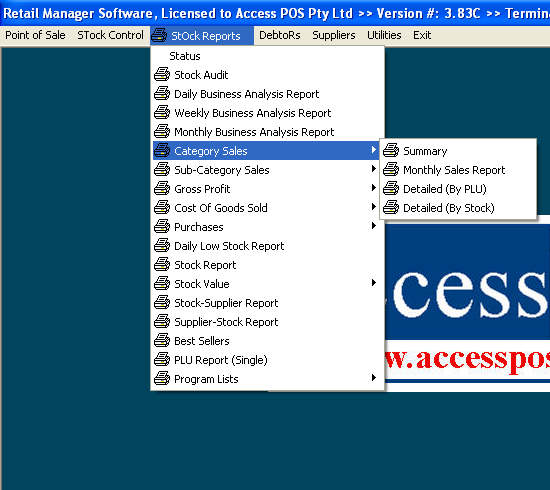 The feature list of the Retail POS System - "Package D" is extensive. 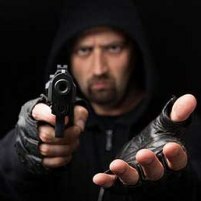 Some of the main features are listed below. 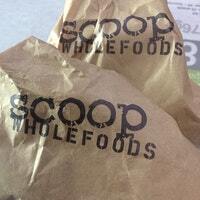 Initial Programming and setup is included in the price (Receipt Header and System Options). After your purchase, an Access POS representative will contact you to discuss the various programming options prior to freighting the Retail POS System - "Package D". PROSPA PAY Buy over 13 weekly payments of $ 206.15 (ex. GST). No Interest ever and No Fees if you pay on time. 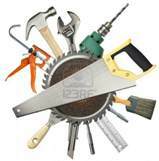 Contact Prospa Pay online at PROSPA PAY or call 1300 706 983 for a simple over the phone application. No obligation. SILVER CHEF Rent-Try-Buy. Rent from $ 34.02 (ex. GST) per week for a minimum of 12 months before you decide to either Buy (with 75% of prepaid rental being deducted from the original cash price), Upgrade or Return at no further obligation. Apply online at SILVER CHEF or call 1800 337 153 for a simple over the phone application. No obligation.